Bloodwood, satine, muirapiranga, bois satine, satine urbane, satine urbane, cardinal wood, Brazilwood, satinee, satine rouge, conduru, satinjout, legno satino, palo de oro, siton paya. Average height is 120 feet. Average weight is 63 pounds per cubic foot with a specific gravity of 1.01. Wood dries slowly with little degrade, although material should be dried carefully to guard against the risk of checking. There is small movement in service. Wood has high bending and crushing strength and medium stiffness and resistance to shock loads. Experts recommend using power tools for sanding and machining. Wood has moderate blunting effect. It glues well. Preboring is needed for nails and screws, and the wood holds screws well. Wood stains and polishes well. It is resistant to preservative treatment. Timber is durable. It's easy to see how satine earned some of its commercial names, like bloodwood and cardinal wood. Wood from the species Brosimum paraense, Brosimum rubescens and Brosimum lanciferum yields heartwood that varies from a pale orange red to a deep red. Bloodwood is one of the woods that retains its color. If anything, the color deepens as it ages rather than fades. Bloodwood comes from various species of Brosimum and grows in Brazil, Venezuela, Peru and Panama, French Guiana, Colombia, Guyana, and Suriname. It is not one of the most widely used of the exotics in the U.S. market, but those who have experience working with bloodwood appreciate its heartwood for its vibrant color, which remains true or deepens over time, and its golden luster. 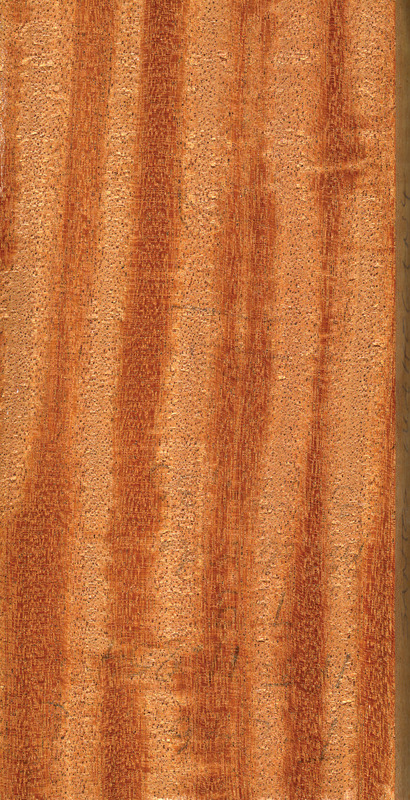 The wood's grain ranges from straight to slightly interlocked. Some of the heartwood features ribbon stripes of green or yellow or red. The sapwood of the tree is a pale yellow and clearly demarcated. Bloodwood, or satine, is also called Brazilwood, which can be confusing, since so many woods share this name, including pau ferro (Guilandina echinata). 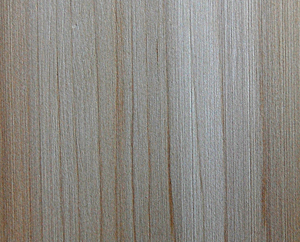 Another of its commercial names, satinwood, is shared by other species, including Chloroylon swietenia. The book Tropical Timber Atlas of Latin America lists various trade names for the lumber by country. In France, the wood is called satine and satine urbane; in Germany satinholz; in Italy ferolia and legno satino; in the United Kingdom it is called bloodwood and satinwood. In Brazil it is called muirapiranga, amapa rana, pau rainha, conduru and falso pao Brasil. Douglas Thayer, a custom woodworker from Phoenix, MD, which is near Baltimore, used bloodwood in one of his recent one-of-a-kind pieces, an outdoor bench that mixes concrete bases with solid wood and other materials such as metal. "It's a beautiful wood, but very dense and hard and that can make it tough to sand. Without my Timesavers widebelt sander, I would have been in trouble," he says. "I'd hate to have had to sand that by hand. It's so difficult to mill because of its hardness. It's as though sparks fly off it." Bloodwood is also said to twist when you cut it. Thayer thinks jatoba is similar in many ways to bloodwood. "They have the same grain characteristics and hardness, but bloodwood's color is better, and it won't oxidize the way jatoba and padauk sometimes do." Steven King, a vice president at All Righteous Woods, a division of Yankee Pine Corp. in Rowley, MA, says his company has carried bloodwood for 15 years. He describes it as a beautiful wood that finishes well. "The denser woods are, often the higher the shine. It has a great luster when finished. Give it a French polish, and it shines like the facets of a gem." King says the wood is often used as a contrast wood. 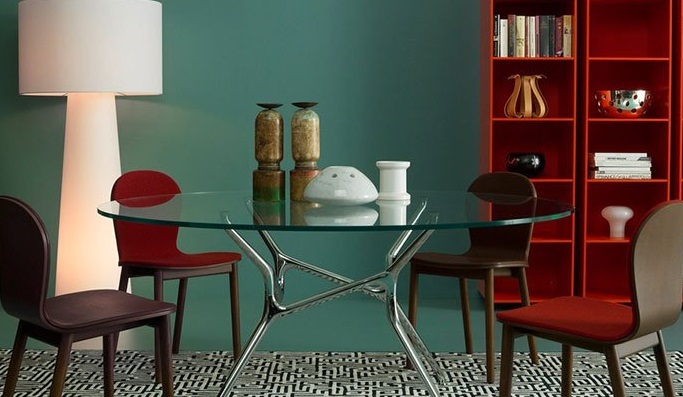 "With its deep red color it works well alone or as an accent wood." King says his customers primarily use bloodwood lumber for furniture making. Uses for the wood include cabinet work, marquetry, musical instruments, carving, decorative fittings, billiard cues and butts, drum sticks, organ pipes and decorative boxes and turned bowls. Also, artists use the wood for custom-built ship models, casegoods and as an accent wood for custom lighting and copper sculpture containers. Bloodwood is also cut into decorative veneers and used as an accent inlay in high-end wood flooring. Bloodwood is also a popular turnery wood. With its attractive color and inherent luster the wood is used to turn all sorts of objects and art pieces.